La nueva revista online española La Poderío. Foto: Screenshot, August 2018.Last year, I had what Lucía Lijtmaer, a Spanish feminist journalist, calls a golpe en la cabeza (“a blow to the head”): a moment of clarity when you realise what feminism actually is and why we need it. I suddenly connected all of the experiences in my life that had made me feel powerless because I am a woman: from when my parents wouldn’t let me go out with a skirt on ‘because I could be raped’ to the fact that – even though I really wanted to – I wouldn’t travel alone because I was scared of what could happen to me. I was fed up. At that moment, I became a feminist activist because it is outrageous that half of the population is still discriminated against, no matter when or where in the world. I asked: Why hadn’t I realised this before? As a journalist, there was only one possible answer for me: the lack of information and education about feminism. That’s how, due to my determination to explain what is feminism and why we still need it, I decided to create my own feminist media project, called Proyecto V. With this, my aim is to inform people about inequalities in so-called ‘developed’ countries – where we have reached legal gender equality, but not real equality. Nosotras reímos, nosotras decidimos, enero 2018. Foto: Rocío Ros. All rights reserved.Proyecto V’s first video-report, launched in January, presents these inequalities focusing on our sense of humour. 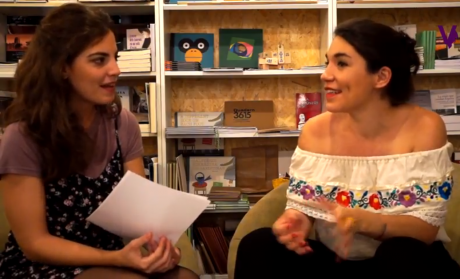 Nosotras reímos, nosotras decidimos (We laugh, we decide) explains how women have been discriminated against in humour, and the significant differences between feminist humour and what we usually consume. The main difficulty in taking this entrepreneurial path is, without a doubt, making it financially sustainable, as my resources are very limited. Many media projects with feminist perspectives share this problem. Launching an independent media business is a very precarious activity. In addition, we do this prioritising pluralism and accuracy, avoiding sensationalism and clickbait, and limiting advertising to be coherent with our values. This, in the end, reduces our financing possibilities in comparison with conventional, commercial media. Activists and professionals maintain many feminist communication platforms receiving little (or no) remuneration. This was the case for most of those I interviewed or read about online. What they get in return is the satisfaction of representing realities that other media ignore, and loyal readers that share their ideals. Though there are new digital platforms, launched by feminist journalists in Spain and Latin America, that have succeeded in becoming economically viable while producing alternative coverage of diverse topics, including those typically written about by and for men, like economics or sports. To do this, they’ve focused on finding and covering underrepresented angles and groups, as well as creative ways of funding their projects. Pikara, a Basque feminist magazine, is an example of such success. Unlike many other projects, it’s managed to become economically viable since its launch eight years ago. Its different funding sources – from public subsidies, subscribers, donors, its online shop and advertisers – are a major part of this. June Fernández. Foto: screenshot de video entrevista. Credit: Mugarik Gabe. CC 2.0.Unlike conventional media outlets, advertising represents only around 10% of Pikara’s funding. The online magazine also limits the kinds of businesses that can advertise on its platform. “We limit [adverts from] big companies, banks… Besides, adverts can’t be sexist,” said June Fernandez, one of the magazine’s founders. Restrictions on ads allow Pikara to be consistent with its ideals of equality, diversity and plurality; these ideals have made them a leader in the independent, alternative media landscape and have generated a loyal readership that trusts their work. “For independent media, what is important is to commit to our readers and try to be coherent,” Fernandez told me. Adapting to new, digital ways of communication is another of Pikara’s keys to success. 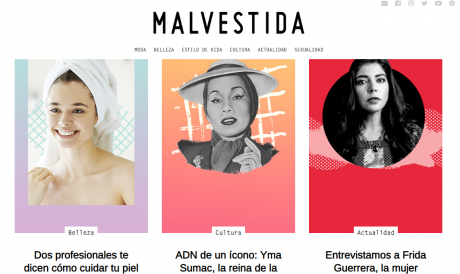 “Our magazine was the first feminist digital-native media in Spain that used social media language, a 3.0 media,” added Fernández, referring to its early and prolific use of platforms like Facebook, where it now has 118,000 followers. Pikara grew out of its journalists’ determination to apply a feminist lens to reporting about current affairs. Other Spanish feminist media share this goal, including the online newspapers Tribuna Feminista and Mujeres en red from Spain, or the websites Latfem, La Periódica and La Cuerda from Latin America. Other feminist platforms that emerged over the last decade include blogs speaking out against gender violence and calling for action, like Barbijaputa, Locas del coño, Mujeres en Lucha and La que arde, and digital spaces to reflect on feminisms, sexualities and identities, like Proyecto Kahlo and Las Simones. There are also platforms that seek specifically to cover information gaps left by other mainstream and feminist news media. 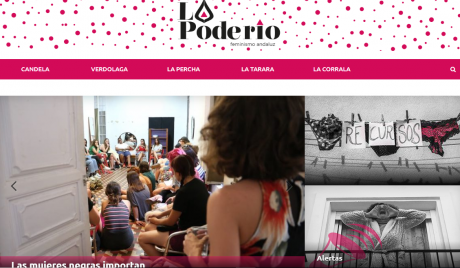 La Poderío is a new feminist magazine from Spain which launched in April with the aim is to represent Andalusian women – rural and worker women who have been largely ignored by other media. One of their first pieces was about women workers abused in the strawberry fields of Huelva (Andalucía). This case became known internationally only later on, after a report published by the German investigative journalism collective Correctiv, about sexual aggressions against these workers. Trabajadora en el campo, Andalucía. 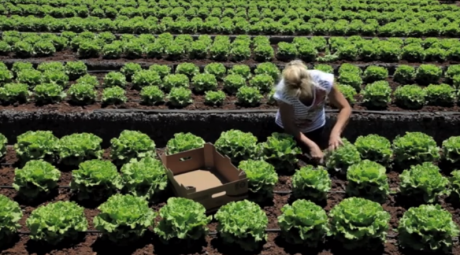 Foto: screenshot from Red de Mujeres Urbanas y Andaluzas video. Credit: Producciones Singulares. CC S-A 4.0.La Poderío attracted thousands of social media followers months before publishing its first piece – their Facebook page had more than 5,900 followers in early April. “This big welcome we had in a short time means, for us, that Andalusian feminism was always there, we just needed to name it,” Rocío Santos Gil, one of the magazine’s founding journalists, told me. Fernández makes a similar comparison. Pikara, she said, has seen that its most read texts are about topics that affect “white, urban, middle-class women” – the profile of the majority of its readers – and that “makes invisible” other editorial proposals. “For example, an article [on Pikara] about refugee women in Lebanon may have 500 visits, and another about polyamory 30,000,” she said. On the other side of the Atlantic, in Argentina, the platform Economía Feminista covers a different information gap. It focuses on making complicated economics and science topics more accessible. Women experts on economics, science and health explain these ‘masculinised’ topics that are usually written about by and for men. “We are united by the [issue of] inequality, to provide data and arguments and make more accessible these academic topics,” said Mercedes D’Alessandro, the platform’s creator. La plataforma digital Economía Femini(s)ta. Foto: Screenshot, August 2018.D’Alessandro believes that more women and more feminism are needed in the media to talk about these topics. “When I read a piece about economics it is always written by a man. We don’t just need women talking about the gender impact of the economy, but also women analysing the economy in general,” she told me. In order to generate more interest around issues related to gender and the economy, it’s fundamental that more people are able to understand and write about them, so that they are not just “passive readers,” D’Alessandro added. A feminist perspective is not only necessary for such masculinised topics. Beauty and fashion are topics that are often written about by women that also need this lens, said Alejandra Higareda in Mexico, who in 2016 created the magazine Malvestida. From her point of view, magazines for women too often “reproduce stereotypes” and leave aside other important topics “like politics, science or sports.” Writing for these magazines herself, Higareda found that she didn’t identify with her own articles. Even if one day mass media includes feminist perspectives in their editorial plans and business structures, that doesn’t mean that the need for independent and feminist media will disappear. The challenge for those who fund and create independent media would be to keep looking for groups and realities forgotten by the rest of the media, in order to continuously defend equality and stimulate critical thinking. Independent media creators must also adapt to the competitive and changing world of digital information – and look for creative ways of funding projects so that the burden of sustaining them does not continue to fall on non-remunerated (or poorly-remunerated) feminist journalists. Our common goal, for feminist movements and Spanish-language feminist media, must be to have more and better-resourced platforms with these perspectives to inform us on all topics of interest. These projects must also be intersectional in their approach, writing about the realities of all groups.